When are you signing up for the ACT? Did you hear what she got on the SAT? Do you know you need a [insert number] on the ACT to get into [insert college name]? You haven’t taken the SAT yet? I took it two months ago! Seemingly, out of nowhere, the ACT and SAT plop themselves down like unwelcome house guests. And they WON'T. GO. AWAY. 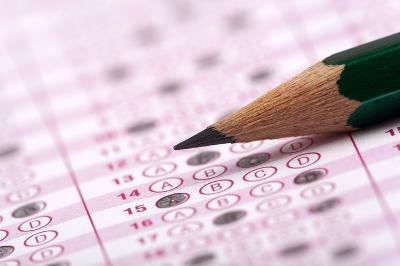 Understandably, college admissions testing is one of the most exasperating parts of the college application process. But, instead of attempting to ignore your house guests, try to make the best of the situation. And who knows? Maybe after a few months you’ll even start to become friends! All colleges and universities in the U.S. equally accept both the ACT and SAT. It is a good idea to take a look at both exams because some students do considerably better on one over the other. Start out by taking official practice tests of both the ACT and SAT with conditions exactly like they would be on an actual test day (e.g. early morning, timed, no distractions). Pay close attention to how you feel while taking each exam, as this is an important factor in helping you choose your best test. Once you’ve completed each test, calculate your scores and compare them using a concordance table. If you scored significantly better on one over the other, then this is the test you should choose. If your scores are similar (which is the case for many students), then go with the one that felt more comfortable. It’s unlikely that you’ll have the time or energy to bounce back and forth between tests so, once you’ve chosen your preferred test, commit to focusing on it. While you can technically begin taking college admissions exams as early as eighth or ninth grade, this is not always ideal. Developmentally, students test better as they mature. Additionally, students may not be exposed to the material covered on these exams until later in high school. The math section is a good example of this, as students are typically most successful once they’ve completed at least one semester of Algebra II. For these reasons, students may benefit from testing sometime between the fall and spring of junior year. It might be helpful to simultaneously plan both the first and second test dates. Scheduling your second try for shortly after your first will allow your preparation to carry over. Also, it will leave time for the test to be taken a third time, if desired. While preparing does involve reviewing the material covered on the exam, it equally includes knowing the ins and outs of the test itself. Familiarizing yourself with everything from the format of the test, to how it’s scored, will allow you to own it...Like A Boss. After learning the framework of the exam, begin focusing on content mastery. The good news is that you will have most likely already learned all the subject matter that is included on the test. But, unless you have a photographic, steel-trap memory, you’ll need to spend some time refreshing your brain. A good time to begin reviewing is in the six to fifteen weeks leading up to the exam. In addition to concentrating on content mastery, it is also important to focus on standardized testing strategies. Good test-takers know that being successful is not just about possessing academic knowledge; it’s also about being strategic. Take some time to learn about pacing, working backward, and process of elimination. The more you employ these strategies, the closer you’ll be to becoming a full-on test-taking ninja. Finally, devote a substantial amount of time to taking official practice tests. During these trials, aim to make the conditions as authentic as possible. Even consider having a friend or family member proctor the exam for you. The more familiar you become with the real conditions, the more confident you will feel on test day.